Mane / Flat Wooden Platform. Ghee and piece of cotton to light the lamp. Rice flour (Akki hittu) to put Rangoli. Cow dung to make Pillari (Pillaiyar). Arugampul or Bermuda Grass or Garike hullu. First clean the surroundings where you perform this pooja, if you have space in the pooja room do it there otherwise you can do it in the hall. Draw the rangoli as shown below, To draw the star of 6 corners, draw a triangle first and then draw a inverted triangle. Draw three circles as shown below. 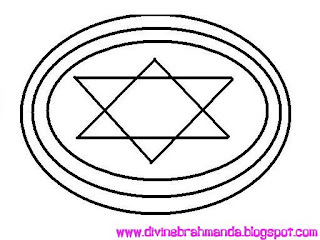 The Three Circle represents Kaya, Vacha, Manasa or Brahma, Shiva, Vishnu. After drawing rangoli, place the mane on it, and put two rangolis as shown above on the mane. Put the rangoli using Rice flour (Akki hittu). In center of the two rangolis i.e in center of star, keep the two silver lamps. The two silver lamps represents surya and chandra. After placing the lamps in center, between two lamps place the betel leaf (veeleyada yele) and you have to place pillari made up of cowdung on the betel leaf. 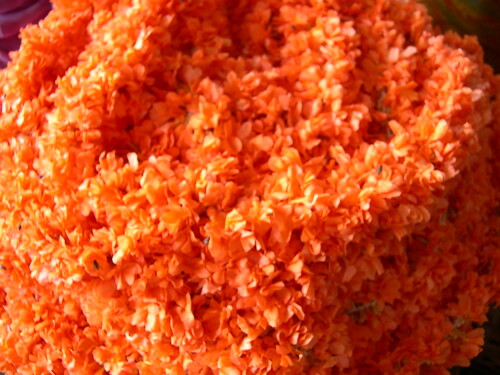 The image shown above is the pillari made up of turmeric powder (arishina in kannada). But Make the pillari using cow dung as shown above and insert few Bermuda Grass (Arugampul in Tamil ; Garike hullu in Kannada) on the tip of it which represents Lord Ganapathi. The above said setup should be arranged such that you are able to circumbalate it and it should be ready by 03:45 AM on November 30th. Light the lamp using ghee by 04:15 AM. 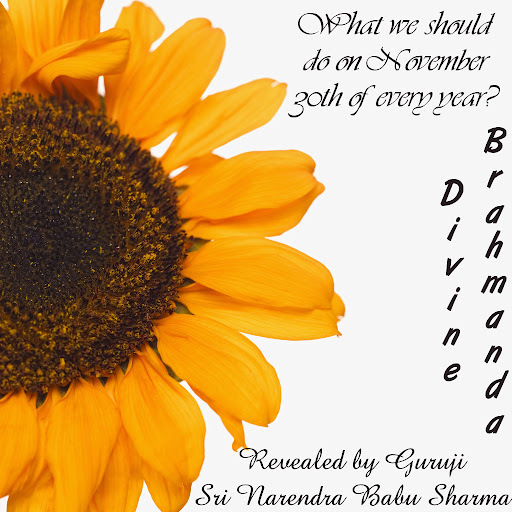 There is no mantra for this pooja, your problems itself acts as mantra. Now take Two Kanakambaram Flowers and offer it to the two lamps and circumbalate the Goddess i.e the two lamps which is placed on the mane. You have to circumbalate 32 times, that is reason of 32 Kanakambaram Flowers. For Two lamps it is obviously 64 Kanakambaram Flowers. This whole procedure should be completed by 05:15 AM of November 30th. Offer kosambari - panaka as prasadam. Note: When the lamp gets off, don't remove it immediately. Let it be as it is. In the evening, again light the lamp and offer your prayers and you can remove it the next day.